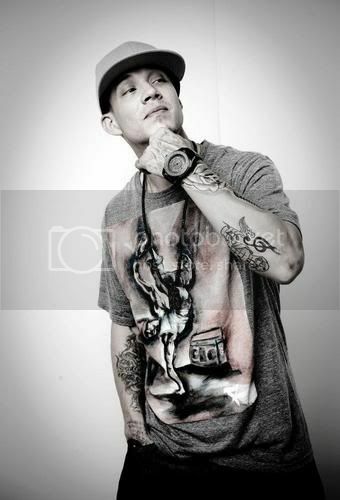 Chris Rene famously finished third on last season's The X Factor and with his back story, good looks, talent and guts to perform original material on the singing competition, he was the easy, early fan favorite. Before the season was even over his audition clip of “Young Homie” had garnered over 12 million views. BlindedBySound is proud to bring you an exclusive interview with him as he talks about his experience on the show and updates us on what's been happening since. After many mishaps, missed chances, and mis-communications, my interview with Chris Rene that was scheduled back in February finally happened last week. Better late than never, right? In this interview we learn Chris loves life, his fans, and really just wants to sing his song. We also get an explanation on where the nickname for his fans, “Renelians,” came from and he credits his sister Gina with coming up with a new word to describe his style. He also gives us a new release date for album and delves into how he feels about his photo on his fans' bodies for all of eternity. We start off the interview with discussing where he currently is and I was talking to him from L.A. as he had the show at The Grove that night. Chris went on to say “it's way different on the west coast, I've been to a bunch of places and it's really cool and I've met so many cool people” I was trying to get to the meat quickly since the amount of time I was going to have was not clear. I told him I was only going to ask one X Factor question because what he's doing now and will be doing is more important and everyone knows the story behind “Young Homie” by now. From here I took the opportunity to ask a question I'd actually been curious about for a few months, now. Of all the songs you have written, you mentioned hundreds of songs, what made you choose “Young Homie” for the audition over anything else you had ready? Definitely. I remember so vividly your audition because of the original song and they always show those because they don't go well and make for good TV and maybe a lesson to anyone trying to get new material out there. I cringed when Paula said “Young Homie?” at the title name then you were obviously the polar opposite of that. Well thank you very much, yeah it definitely could have gone either way. You obviously had them eating out of the palm of your hand the entire time. Mmm, that was beautiful, thank you. I like that, much love. Yeah it was nine months on the single. Whenever I hear it or see a clip of you doing it live that's how I always know how old it is or when you did the performance by how many months you say in that part. That's so funny! Oh my God. Yeah that's one of those I think is going to be forever, you know like remix (sings) “it's been two years now, haven't had a drink and I'm starting to see clear now.” Can you imagine that? That's awesome, you can just keep that going forever. Well for live shows I do change it up to where I am at that time. And how long it's been. Speaking of live shows, what is a Chris Rene show like right now? I know you're doing “Trouble” and “Homie”; are you also doing old songs, new material off the album, covers? Tell us what we can expect. Will “Where Do We Go From Here” be on the album? That was a question a lot of people wanted me to ask you, if “Where” would be on the album. Nah, that will be on one of the later album. That'll go on the third album. What was it like when you released “Trouble,” a song no one had heard before, following the success of “Young Homie” which was so well received and loved already? Um, exciting, for sure. It's like a new song, let's see how they feel about it. It's a real total pop song, I have diversity, I can do different styles. On the album you'll hear more of Chris Rene, more of what I can do. The song we picked for the second single is the perfect song, basically mature stuff. Is the album done, almost done? Awesome, when do we get it? You'll get it in Octobah! You can pre-order it pretty soon, and when they pre-order it they instantly get a secret song or featured song but you can only get that when you do the pre-order. It's cool. Great, tell your fans how to do that, through your website is best way to go? For sure, go to ChrisReneOfficial...dot com! We know “Trouble” was co-written by Alex Lambert but we also know you're a great songwriter, are the rest of the songs written or at least co-written by you? Most of them are written by me. They write the choruses, I write the verses, and some people write the bridges. But I write the verses. Is that important to you so you can connect the song? Heck yeah, the verses are special and have meaning and I tell a piece of me through that and it goes with the chorus. It's amazing, it's amazing. That's essentially how you did it on The X Factor, you'd take an existing song, leave the chorus intact and redo the meat of the song, right? What are you most proud of with this new album? The whole thing, it's so diverse. There's a little of everything; you got pop songs, rap songs, a mixture of rap-singing, rapping...I sing and rap. I call it “ringing” I ring, I'm a ringer. I was just going to ask you that! I saw online someone referred to it as “ringing” and in a comment on BlindedBySound.com and I really thought it was made up. Is that really what it's called? My sister, my sister made it up. That's amazing, she should copywrite it. Uh, I think actually...that's exactly what we're doing (big laugh). Oh really? Nice. I get one percent for suggesting it. (laughs) Yeah oh for sure sure you'll get something. I know we have to get going because with the rescheduling and reception issues our time got a little screwed up but I want to ask you a couple questions from Twitter followers but, first I wanted to ask you about that. You're very fan oriented and your hands are all over your facebook and Twitter sites, is that part of the plan that regardless of the time that passes and impending success will you always be as active in communicating with your fans in that way? Where'd that come from, calling your fans Renelians? I don't remember (said in a fake English accent)...actually yeah, yeah my brother came up with it. You have a smart family! They have great ideas. What is it like when you see fans with your name, “Young Homie” your face, “Love Life” and so on on their bodies? Because now you're a part of them forever. It's amazing, I mean it's like they get my autograph tattooed on them, a couple people even have my portrait on them. I pinch myself, I love it. That's amazing, it really is. I don't know the impact everyone from these singing competition shows has on the public and their fans but you specifically seem to have touched a nerve and become a part of something big and real for a lot of people. You have a big, immediate impact on a vast array of people. It's amazing, God is a very powerful centerpiece in my life in the universe and all these things that are all connected in my life and things that happen and effect each other, positivity that has come out of the negativity. I'm happy, it's a balance a whole Ying and Yang effect that has come into my life through music, it's so cool. One last question because I know you have to go and I was told you had to get food before your show at The Grove tonight. We spoke about “Trouble” earlier, are we getting a video soon? Yeah, for sure, it's already done. We shot it in New Orleans. It was good, really good. Was that your first time in New Orleans? Yeah, it was...it's really hot! It was awesome. Yeah, it definitely is, it's an amazing city. Thank you Chris for your time, I appreciate it a lot. I'm glad we finally got to connect and talk today. Yes, thank you, I appreciate every moment, thank you. No problem, hopefully we'll be talking in the near future...third and fourth singles, then second albums and projects, continuously. Yes, for sure thanks a lot, Heather. I really appreciate it, talk soon. So there you have it! Great interview, nice guy, honest answers, and I personally learned a few things I hadn't previously known. Wishing him lots of luck and I'll continue to follow and cover his career right here on BlindedBySound.com.